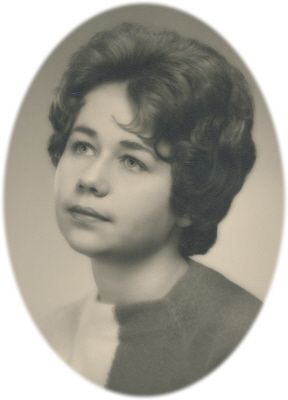 Linda Leone Peterson age 73 of Alma, Michigan, passed away on Thursday, February 7, 2019 at her home. Linda was born on April 12, 1945 the daughter of Leo and Mary (Mailand) Pencak. She loved crocheting, painting and drawing. She enjoyed crafting and making things for her friends and family. She retired from Verizon. She is survived by her son Dean Peterson of Greenville, Michigan; sisters: Sharon and Jim McBride of Greenville, Michigan; Sheryl and Dave Coffman of Cary, North Carolina; and her sister-in-law Ruth Pencak of Las Vegas, NV. She is also survived by the father of her son, Gary Dean Peterson. She was preceded in death by her parents and brothers: Lawrence and Andrew Pencak. Online condolences can be sent to www.smithfamilyfuneralhomes.com. The family is being served by Smith Family Funeral Homes, St. Louis Chapel.